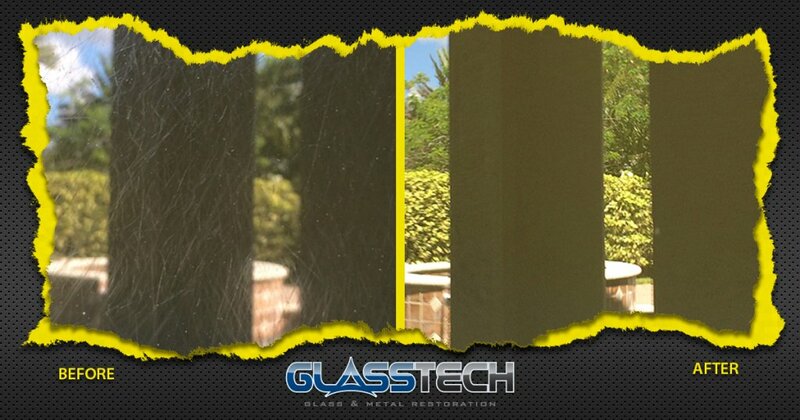 GlassTech are experts at scratch removal. 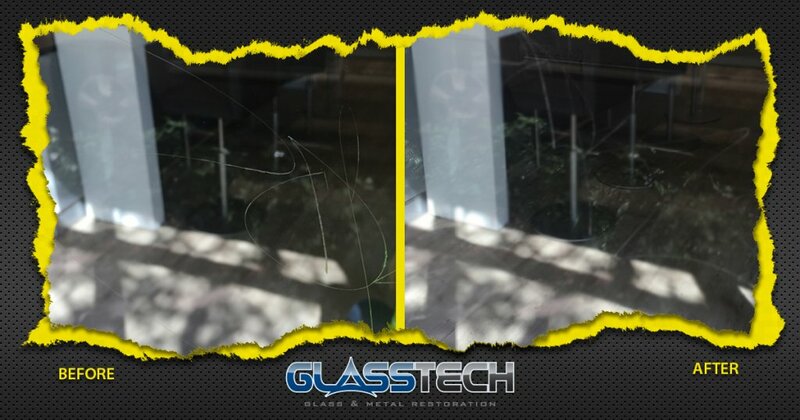 Using our proprietary scratch distortion-free removal process we can remove a wide variety of scratches from glass tables, windows and doors. 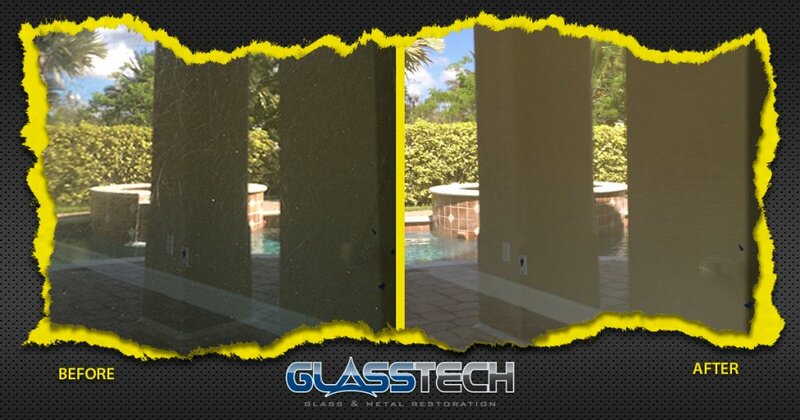 Over the years, we have perfected our scratch removal process, producing phenominal results. 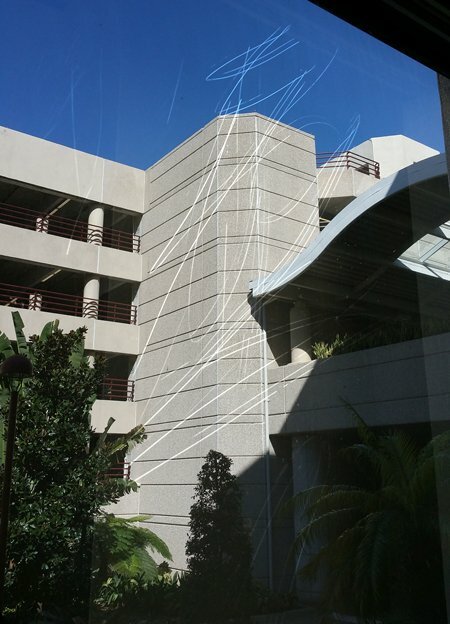 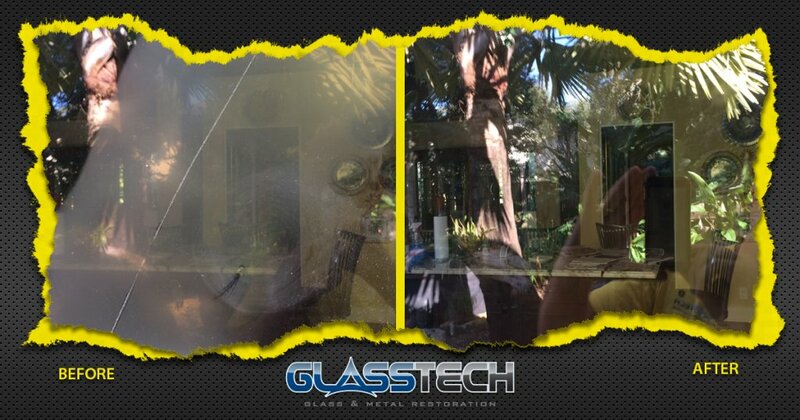 Scratched glass repair is a cost-effective alternative to replacing windows and doors. 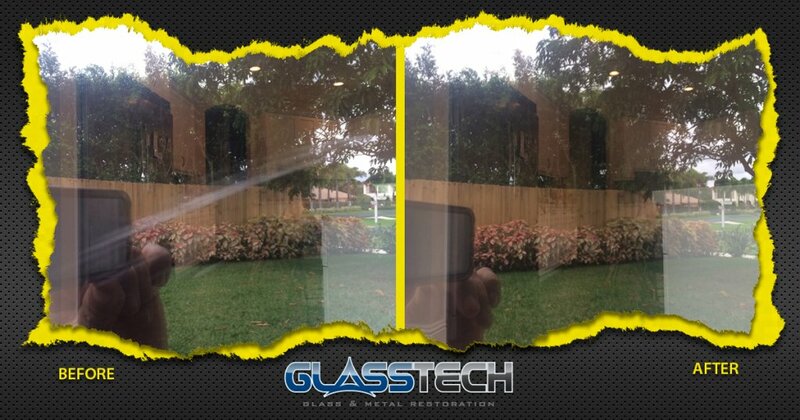 Our process can be completed for a fraction of the cost of window replacement. 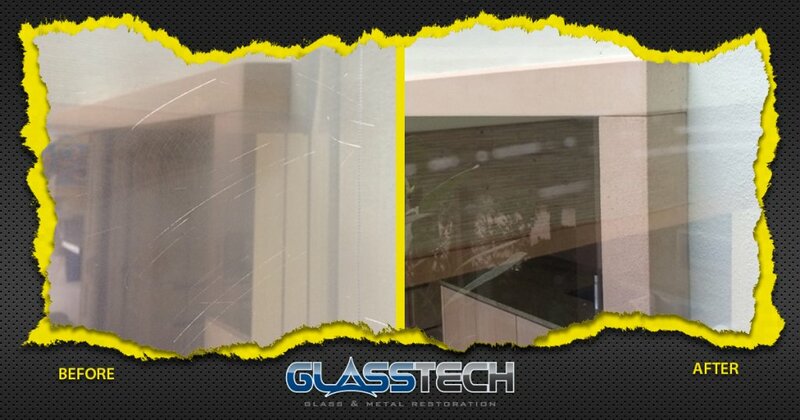 GlassTech can remove scratches from all types of glass, saving you time and money. 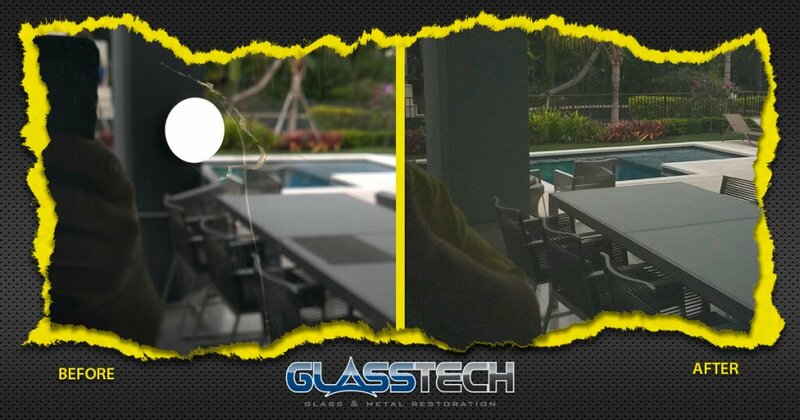 Below are before and after pictures of GlassTech's scratch removal and repair services of glass tables, windows and sliding glass doors. 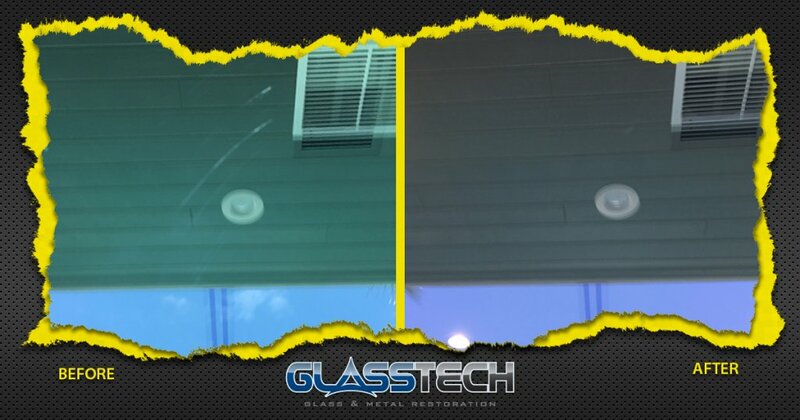 Compare the results for yourself!